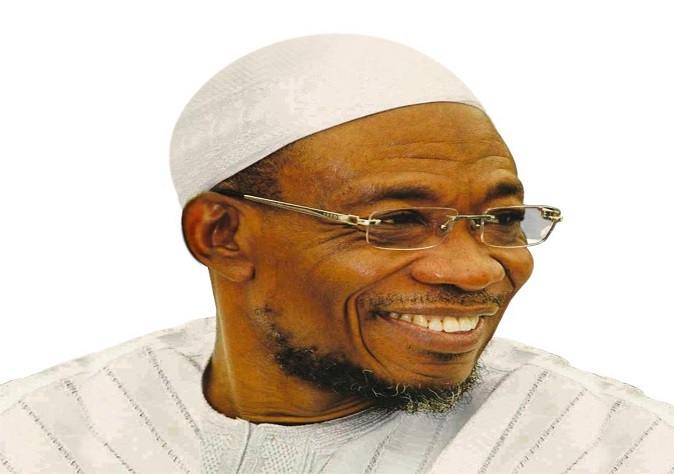 Governor Rauf Aregbesola of the State of Osun has averred that the financial crisis that forced the state government to payment of modulated salary to its workers would be over by the end of March, 2018. Naijasimple gathered that Aregbesola addressed the workers at the Civil Service Week programme on Friday in Osogbo, appealed to them to persevere for a little more time for the payment of full salary, just as he commended them for their perseverance, patience, sacrifice, dedication and labour of love. The governor disclosed that only 28 per cent of the state’s total workforce received modulated salary, stating that the remaining 72 per cent of the workers have been earning their full salary and are not being owed any outstanding salaries. He said: “There is no better time to acknowledge and tell you this than now. You have done well so far. What is left is just to thank you, particularly the 28 per cent of you who have endured modulated salaries. These are the 20 per cent who earn 75 per cent of their monthly pay and the eight per cent who collect 50 per cent of their salary. “The remaining 72 per cent, as you all know, have been earning their full pay and are not being owed any outstanding salaries, irrespective of the spin being given to this by our traducers. Even at that, we must thank everyone for the sacrifice you have all made in other areas. Explaining the financial situation of the state, Aregbesola said: “From July 2015 – when we started paying modulated salaries, our income from all sources, including gross allocation from the federation account, internally generated revenue and two tranches of Paris Club Refund – to November 2017, is N121.6 billion. “Meanwhile, our total personnel cost (excluding gratuities) within the same period would have been N104.4 billion if we had paid the full salaries of N3.6 billion every month. Our personnel cost therefore is 85.8 per cent of our total revenues from all sources. “However, this is an academic exercise because before the allocations get to us, some deductions would have been made on commitments already made since as far back as the 1970s, up till now; and we are also paying modulated salaries. “The reality, however, is that our net income is N61.7 billion while our real total personnel cost is N63.98 billion. This stands at 103.6 per cent of our total net revenue. I obtained these figures from the Accountant General of the State and you can individually verify them in his office. Aregbesola who accused his political opponents of playing mischief on the salary issue, urged the workers not to allow the opposition to instigate them against the government. He recalled that he had paid workers 13th month bonus salaries and restructured leave bonus to be paid on a worker’s birthday or service engagement date, adding that he also quadrupled and gave car and housing allowances to workers without prompting when the state was financially buoyant between December 2010 and December 2013. The governor stressed: “If we have the resources, we will provide flying cars for the workers. We will put our lives on the line to achieve that. Nobody should therefore fail to understand the circumstance that prompted us to pay modulated salaries to 28 per cent of our workforce. “When this problem began, we had to keep taking loans, up to N25 billion, in order to pay salaries. But we must face reality; we cannot continue to give what we don’t have. I have extrapolated from the statistics I gave you earlier, that should we even want to give workers everything we have, it is still not adequate. “We are grateful that to a large extent, you have collaborated with us and supported us. We are simply asking for further perseverance, understanding, patiience and sacrifice. You must not fail to recognise, as Chief Obafemi Awolowo admonished us, that the darkest part of the night is just before the dawn. “I told labour leaders in my recent meeting with them what Comrade Hassan Sunmonu said in a public occasion, that something told him that we will be out of these difficulties by March of next year. I agree with him. It will come to pass Insha Allah! “I may not figure out how this will happen now but I believe it will happen, and you will all be part of it. Our own season of famine will be over by March of 2018. Aamin!,” the governor stated. “I am pleading with you; don’t let the enemy of our race deceive you. You have patiently borne the brunt of this situation to be able to patiently wait for another three months. Don’t be persuaded to change course.